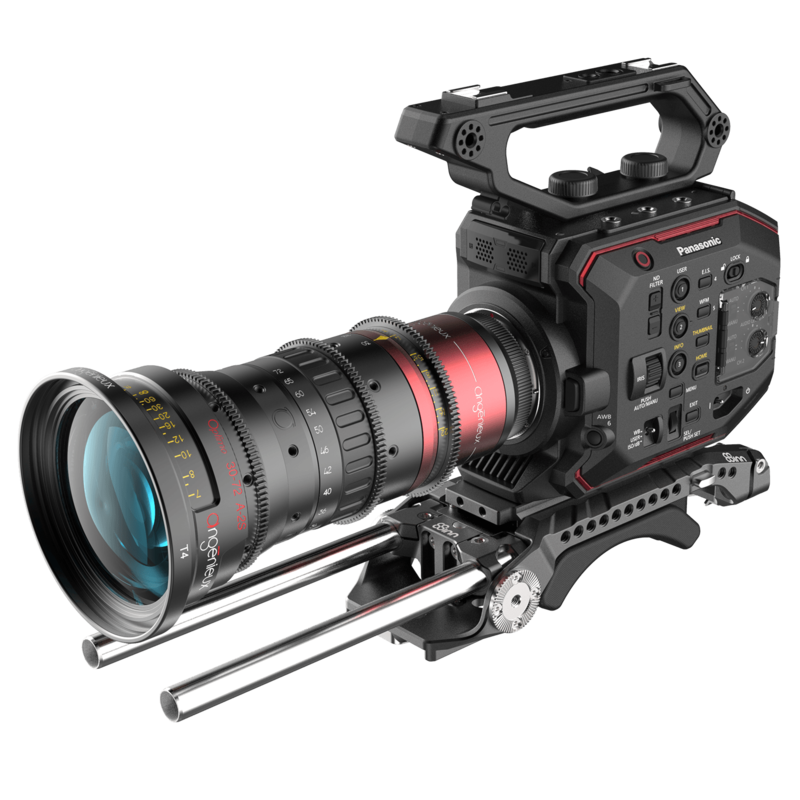 8Sinn filmmakers equipment moved to the next phase as 8Sinn has introduced its new product. 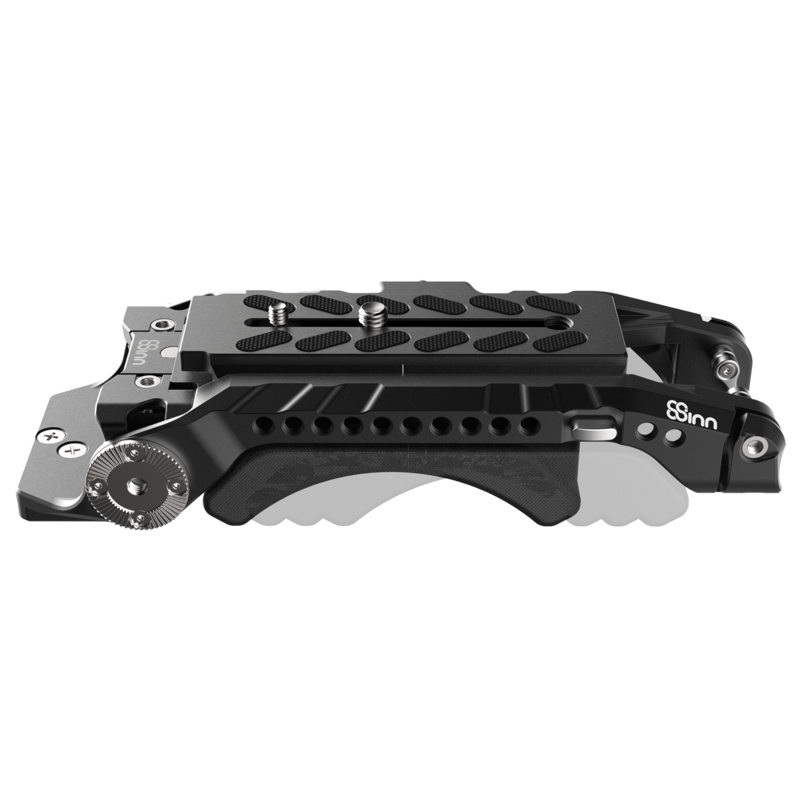 The VCT Universal Shoulder Base Plate has been created to fulfill even the most specific demands. 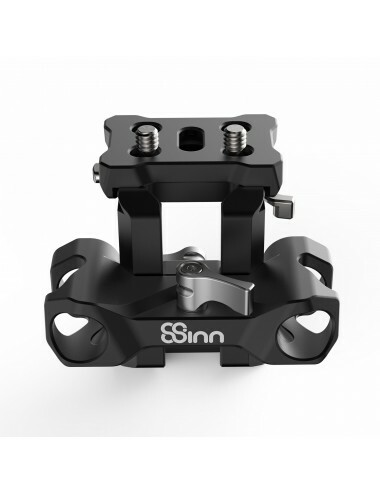 Standardised construction makes 8Sinn`s base plate universal, so it can be used with following camera models: Sony FS7/FS7II/FS5/FS5M2, Blackmagic Ursa Mini, Canon C100, Canon C200, Panasonic EVA-1 and many others. 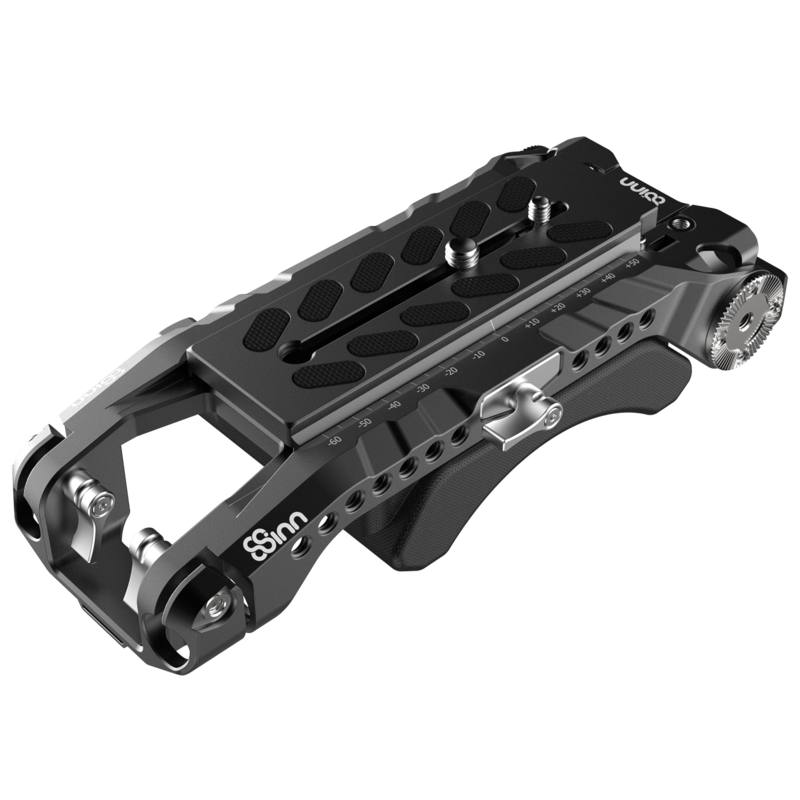 8Sinn Shoulder Base Plate serves as integrated system and sturdy base for your camera rig. 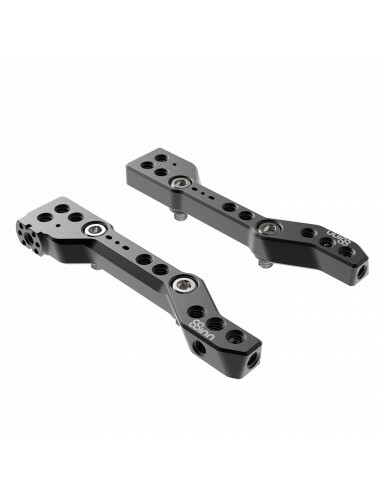 Blocking points located at the main body are built-in in such a way as to prevent the Manfrotto 501PLONG plate from being lifted off from the VCT Universal Shoulder Base Plate. Blocking button lock and unlock the plate from the VCT Shoulder Plate. The knob function is to keep the plate in fixed position. 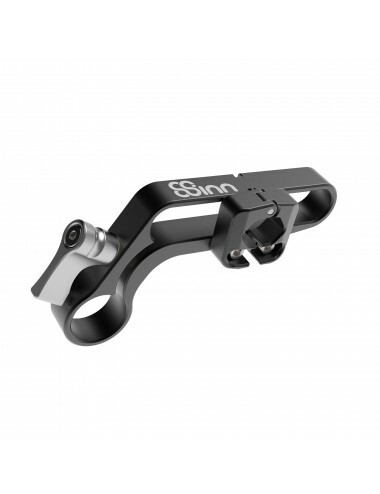 8Sinn's product has the 15mm rods oppenings located at the front as well as at the back of its structure. Rods from the back part have their own knob for separate regulation. 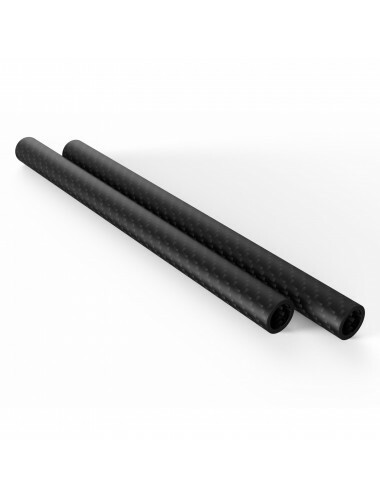 Frontal rods section, on the other hand, have their own adjustment system. 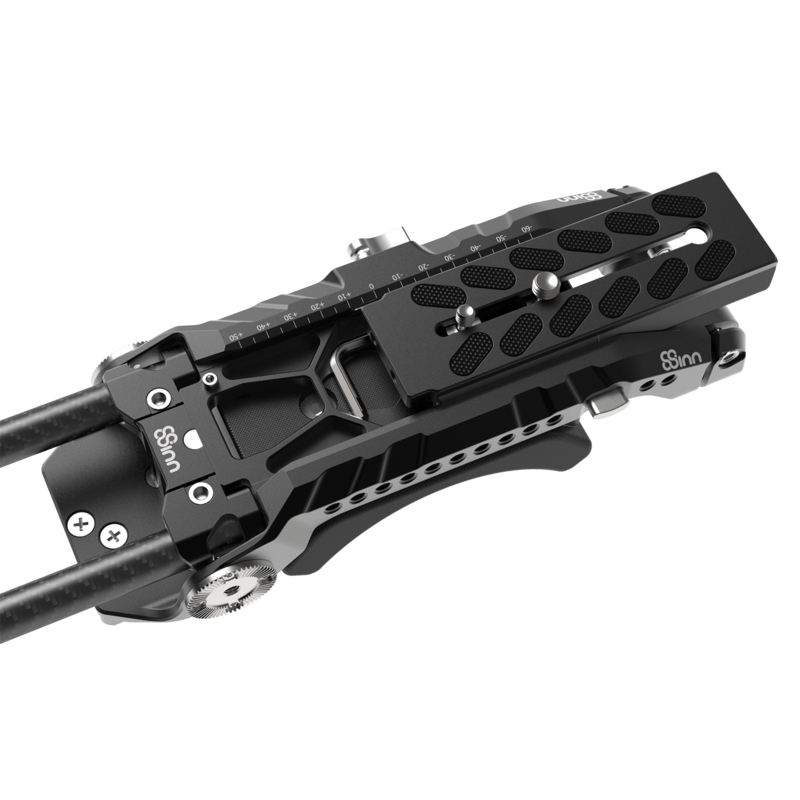 Another standard solution applied on 8Sinn Shoulder Plate is the VCT-14 Mount, compatible with Sony VCT-14 tripod adapter plates. 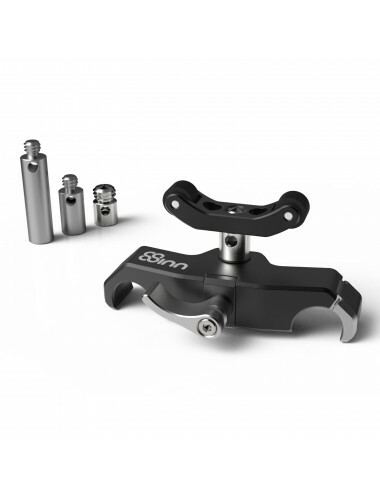 This solution enables the possibility of fast attaching and detaching the whole set from the tripod. It becomes handy when frequent shoulder pad position change is assumed - switching of the shoulder support from tripod an then use it while hand shooting. 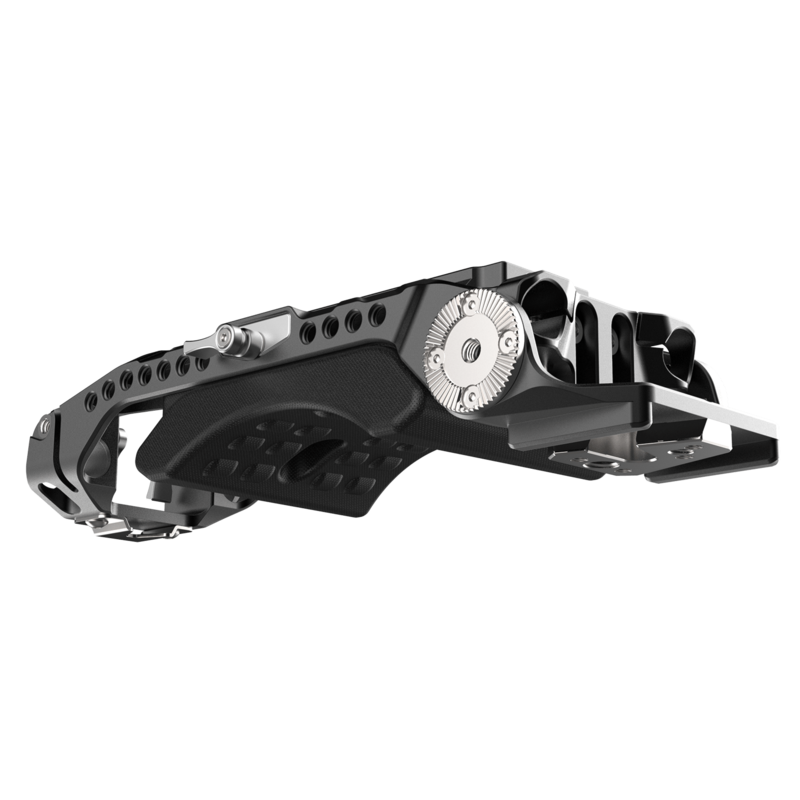 Upper movable plate is a standard Manfrotto 501PLONG quick release video camera plate. 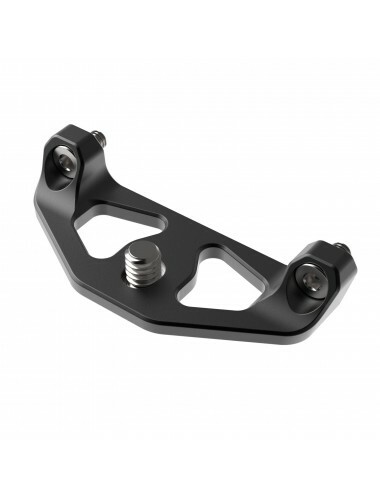 This plate serves as a convenient and proven solution for swift attaching and detaching the camera from the VCT Shoulder Base Plate or tripod. Sliding the plate backwards and forwards is a way of regulating the camera position. 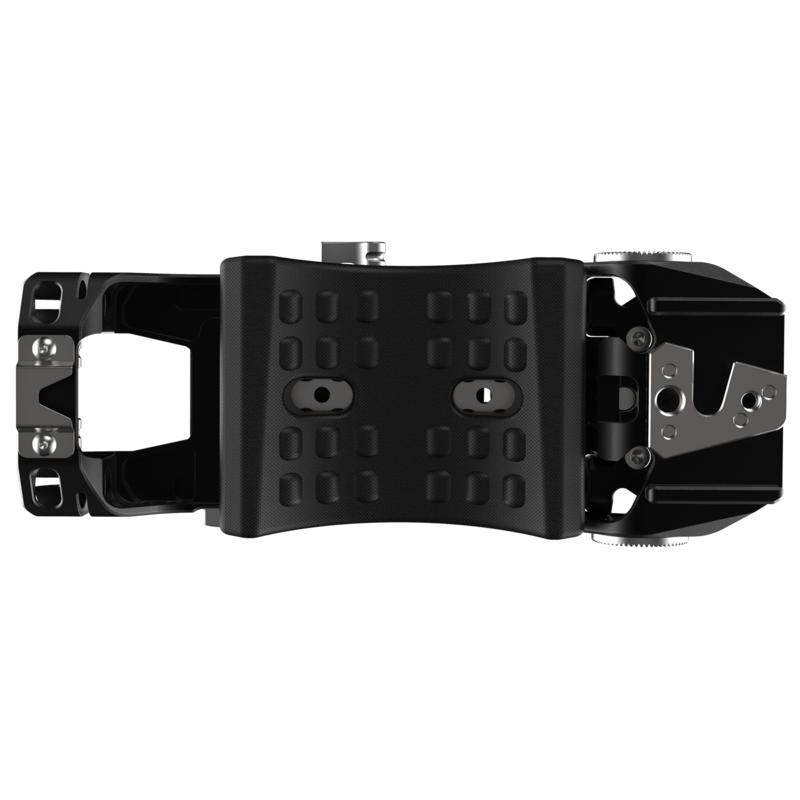 The movable plate has been made from lightweight aluminium with rubber pads on top to prevent unwanted frictions. 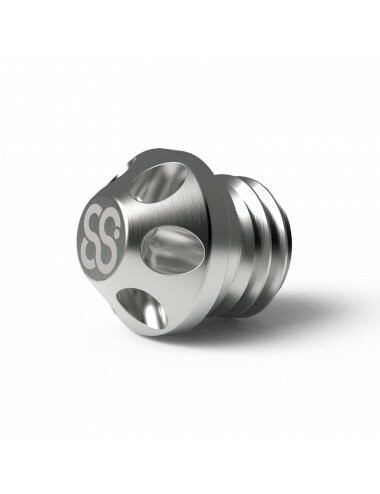 Additionally, there is the key compartment placed under the plate - the key becomes useful for rods tightening and the rods mount section positioning. 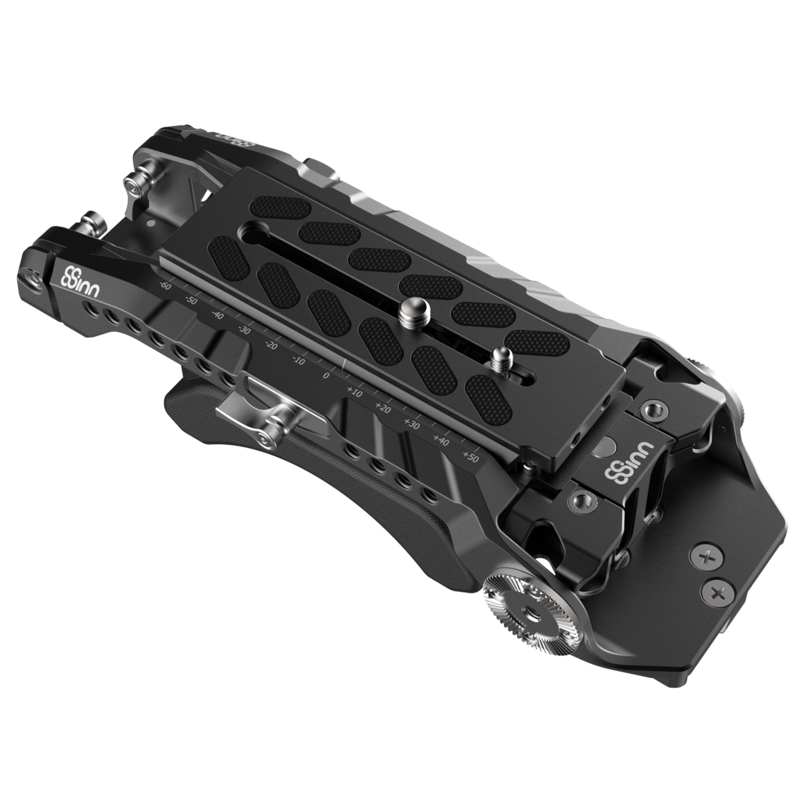 Comfortable, contoured and detachable pad has been created to facilitate the work with 8Sinn VCT Shoulder Plate. 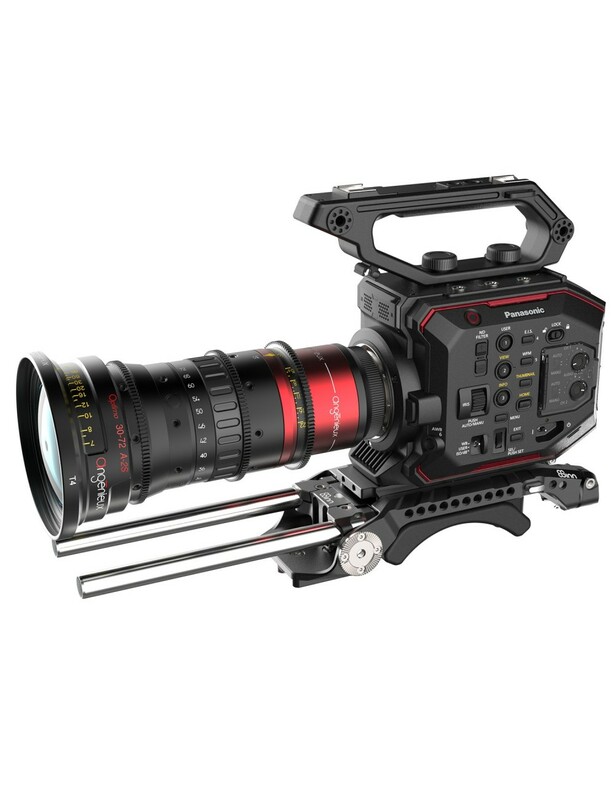 Its role is to eliminate the discomfort of the camera weight on your shoulder during shooting. 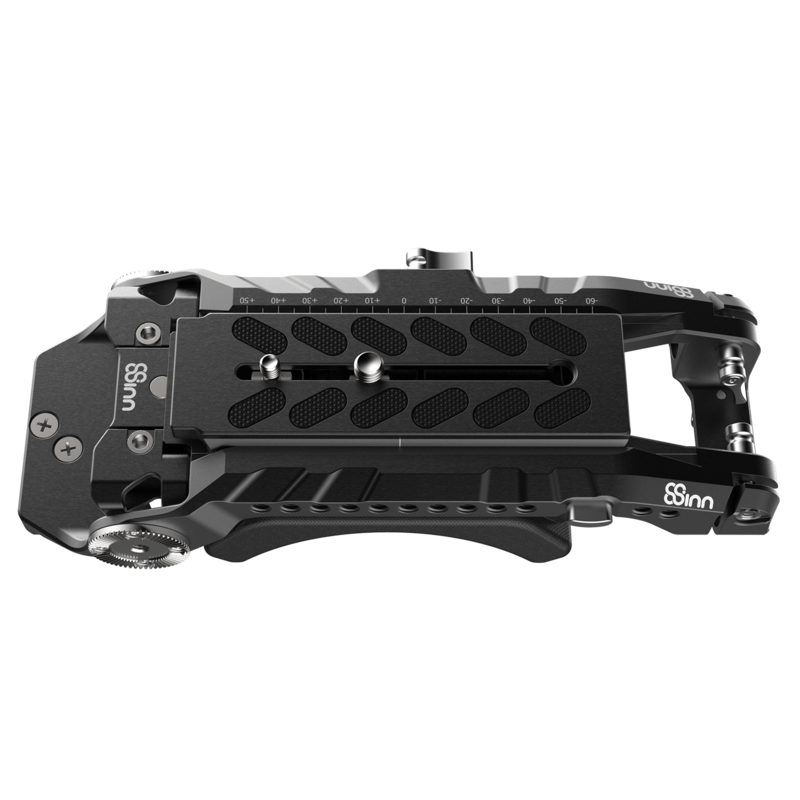 The pad is attached to the VCT Universal Shoulder Plate by magnets and it has four-level regulation possibility - this area contributes to the whole set ballance. 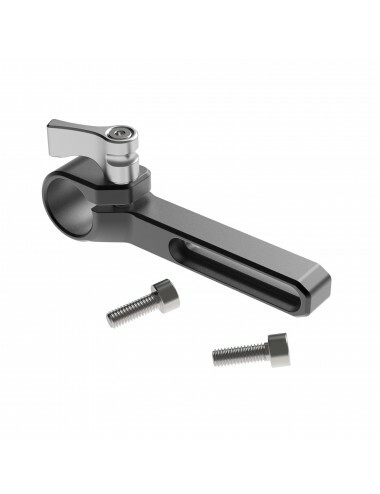 Substantial part of the VCT Shoulder Base Plate is the 15mm rod mount section. 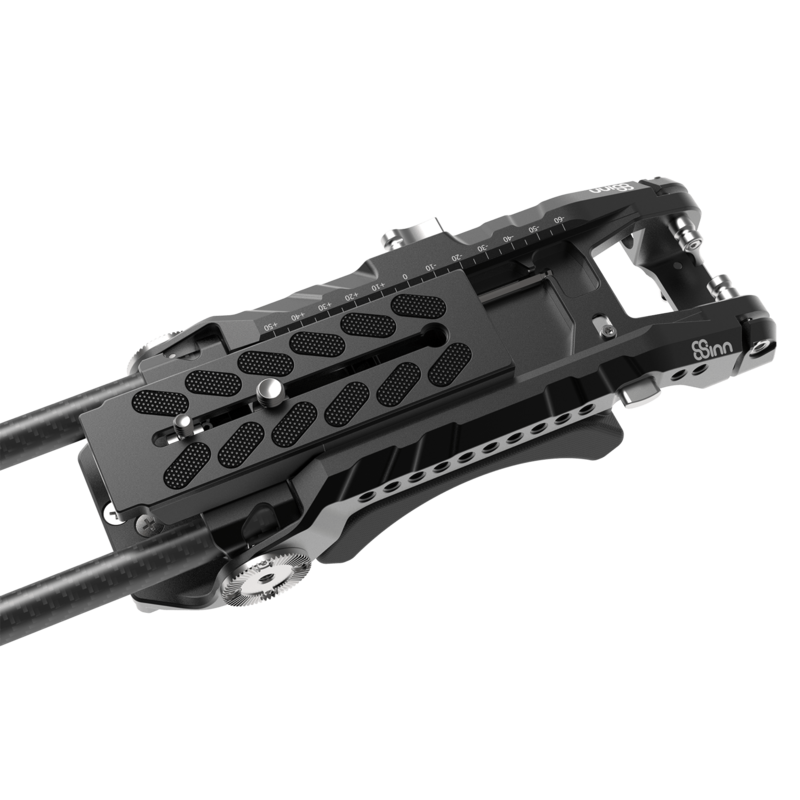 The segment has three levels of height adjustment which is convenient for different types of lenses. Additionaly, there is an innovative assembling method, with the possibility of upside down mounting, which increase the segment height range. 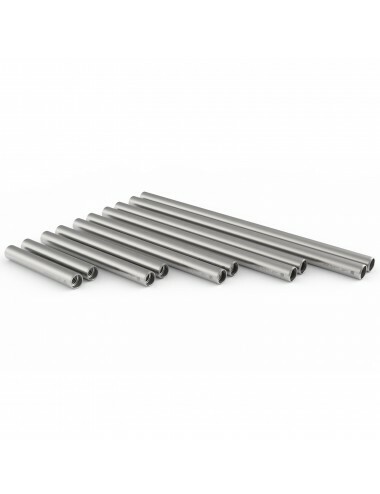 - highest possible rods position is 2,5mm when measured from the upper surface of the plate. 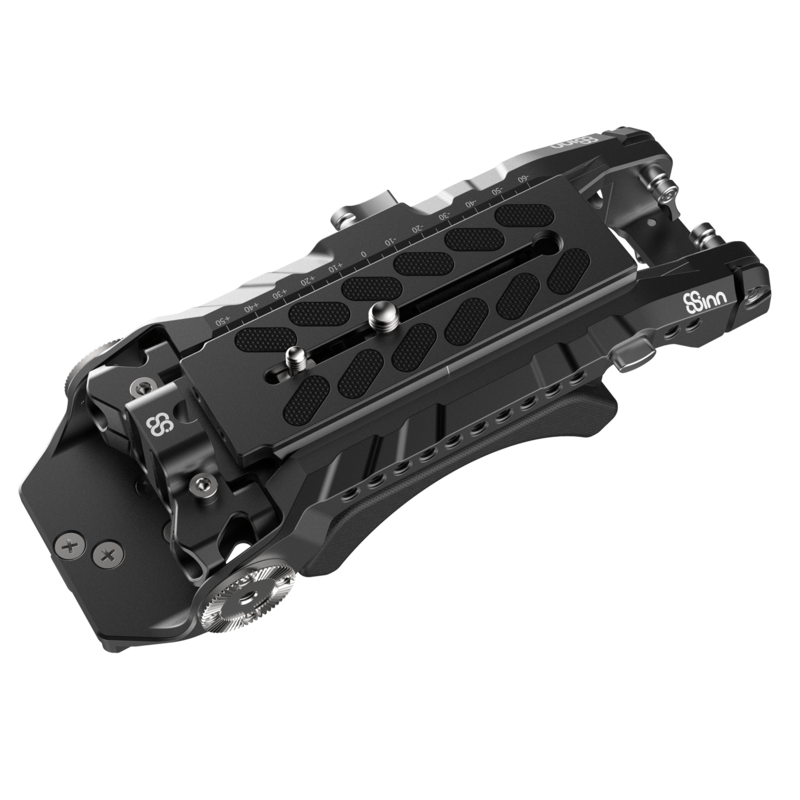 Particular elements of 8Sinn VCT Universal Shoulder Base Plate do not disturb the operator during shooting. 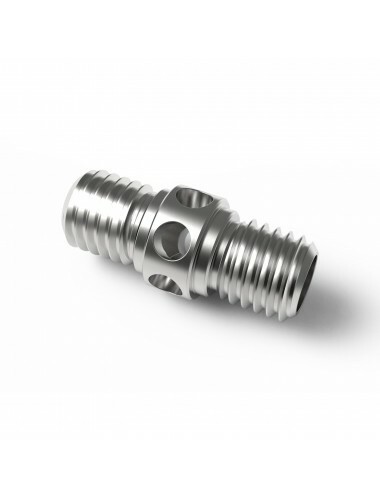 The plate has 1/4" threaded mounting points on both sides as well as two ARRI Standard 32mm Rosettes suitable for all accessories in the same standard.